Did Trends Win Last Year's Cheltenham Gold Cup? The 2019 National Hunt Chase trends drew up a shortlist of three horses, including one of the four finishers in the Festival's longest race. Discorama took second having ticked all the 'Top 5' boxes, and fitted in to all the top '15-Year' and '10-Year' trends. His two negatives were that he fell last time out, and had not won over 3m, though he had tried the trip, which is all the trends ask for. The big concern for both was their lack of chasing experience, as no winner in the last 15 years has won with less than three runs over fences, but both horses had finished top four in the previous year's Albert Bartlett Novices' Hurdle and won Graded or Listed chases. Ballyward also hit the trainer trends, being trained by Willie Mullins, who has a good record in the race. The winner Le Breuil just slipped out of the trends on stamina, as the 14/1 shot had run once beyond 2m5f, finishing a well-beaten third over 2m7.5f. Though it was a big positive that he had run placed twice over fences at Cheltenham, the stamina question took him off the shortlist, though the booking of jockey Jamie Codd was eye-catching. With the well-backed favourite Ballyward falling early on, it was left to Le Breuil and Discorama to fight out the 2019 National Hunt Chase. Going head-to-head from the third-last fence, Discorama had the advantage over the last, but jockey Jamie Codd roused Le Breuil up the hill to win by half a length. The victory was a first at the Festival for trainer Ben Pauling, Paul Nolan saddling the second, ridden by Barry O'Neill, who had 12 months earlier been second in the Martin Pipe Conditional Jockeys' Handicap Hurdle. Third was the Philip Hobbs-trained Jerrsyback under Declan Lavery with 125/1 shot Clondaw Cian the only other finisher in a searching renewal of the 4m novice chase. 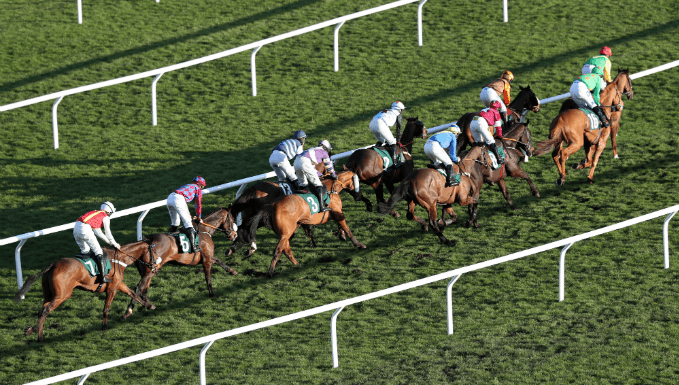 What Are Paddy Aspell's Best Cheltenham 2019 Betting Tips?